WP Engine Review 2019: Should You Use Them for WordPress Hosting? Since making the switch over to a WPengine dedicated server, I’ve been blown away by the level of performance this site has been able to achieve. If you’ve been in the market for a managed WordPress hosting solution, then this review is for you. WPengine have a special offer on their managed WordPress web hosting packages. The WP Engine Personal plan starts at $35 per month which is great for single site installations or for developers who’d like to try out WP Engine’s hosting services risk-free for 60 days. Save a further 30% by paying up front for the whole year. People decide to migrate over to managed WordPress hosts for a variety of reasons. However, one of the biggest reasons is to get rid of the hours of additional website and server optimization tasks you have to do every single month. Even if you sign up for a standard web host who claims to help reduce admin work, it’s usually not very beneficial. Since these larger hosts cater to so many different hosting types and platforms, there add-on services are naturally pretty limited. WP Engine is different in that they’re a WordPress-only platform. This enables their team to completely cater to WordPress users and site owners. This allows their team to offer a very high-level of service. All site and server admin, maintenance, and optimization tasks are 100% handled by their team of experts. Not only does this save you time, but you’ll get an incredibly fast, secure, and high-performing site as a result. But, this high level of WordPress managed hosting does come at a cost. Below we dive deep into their higher priced plans, and all the bundled features and benefits, so you can dive if this style of hosting is the right move for your website. If you’re a WordPress site owner, then you’re going to have multiple options for hosting your site. You can use basic shared hosting, VPS, and even dedicated hosting. But, there’s one form of hosting that’s going to help you get the most out of your site, without any additional work, and it’s called WordPress managed hosting. Managed WordPress hosting solutions came online as WordPress continued to grow in popularity. Since WordPress is a unique CMS it requires a unique hosting setup to help get the most out of your site. In the early stages of your site, you can probably get away with shared hosting as your site won’t be getting enough traffic to warrant any customized hosting options. But, as the size and traffic of your site continues to grow you’ll want to seek out a hosting solution that’ll help to maximize your site’s performance without any additional work on your end. This is where managed WordPress hosting comes into play. WP Engine is unique in that they only offered managed WordPress hosting packages. This allows them to offer a very helpful, and custom-tailored hosting experience, for WordPress site owners. WP Engine was founded in 2010 by Jason Cohen. As the popularity of WordPress continued to rise, Jason, saw an opportunity to create a host solely dedicated to that platform. Over time WP Engine has grown to become a very popular WordPress host. They’ve served over 30,000 customers across 120 different countries, including companies like Soundcloud and Microsoft. They continue to advance their hosting offerings with cutting edge technology. They’re even funded by the company behind the creation of WordPress, Automattic. They’re a premium WordPress host through and through. Not only due to the price point of the hosting services, but the level of quality, support, and services they provide. WP Engine has a lot of advantages. Especially, if you’re running a WordPress site that gets a decent volume traffic. If you want your site to remain competitive in today’s online landscape then you need a site that loads quickly. Lightening page load times are essential. There are a lot of different things that go into having a fast website. First, you need a host that places a focus on performance. Second, you need a website that’s been optimized for speed. Luckily, WordPress is already an incredibly lean CMS and very fast right out of the gate. However, as your site grows you’ll probably have dozens of customization in place, widgets, plugins, and a lot more going on. As a result, you might notice a drop in your website’s performance. One way to greatly improve your performance is to upgrade to a better host. Now, this doesn’t always mean you’ll only need more server space. Instead, you should look for a hosting company that has a server environment fully optimized for WordPress. This is where WP Engine comes in. They offer a completely customized server stack with aggressive caching protocols built in. Plus, they have dedicated staff whose sole purpose is to identify any performance issues with your site and take the necessary steps to fix them. WP Engine’s load speeds are blazingly fast. Even without having the proper site optimization in place your site will still be one of the fastest loading sites out there. This is nice to have. No matter how large your site grows, page loading speeds and overall performance is never something you’ll have to worry about. Their custom server stack and WordPress-specific customizations go a long way towards helping achieve this. But, their hosting plans also include an integrated CDN and access to a selection of global data centers. You can improve performance by choosing a data center that’s in the closest physical proximity to where your audience is located. Finally, since it’s a managed host, speed is never something that you’ll have to personally worry about. You won’t have to fiddle around with caching and optimization plugins on your end. Just sign up for a hosting package and it’s all taken care of for you. There’s nothing worse than realizing you’ve gone months without updating your WordPress site. Even though it’s such a central task to keeping your site secure and functioning properly it’s an easy task to forget. When updates to the WordPress core are pushed out, you’ll want to update your site right away. These updates not only add new features, but they patch known security holes, and keep your site in alignment with the latest web standards. Failing to update your site can also lead to plugin and theme conflicts, which can actually bring your site offline. Basically, you’ll want to always be running the latest version of WordPress, along with keeping all of your plugins and themes up to date. Luckily, the WP Engine team will take care of this for you. Beyond ensuring that the WordPress core is up to date their team will test the update before they apply it, to ensure that it won’t affect your site in any way. You can also elect to defer any software release. For example, maybe you don’t want the latest Gutenberg editor applied to your site. By deferring the update you’ll give yourself 60 days to test the update before you decide to apply it to your site. However, keep in mind that you do have to update your WordPress plugins yourself. But, this can be an advantage as some plugins won’t be ready for an upgrade straight away and can lead to conflicts. Beyond keeping our site up to date, WP Engine will also conduct regular website backups. These backups are pretty in-depth too. When some hosts offer bundled hosting they either limit the size of the backups, or only backup certain website elements. WP Engine will backup your site on a nightly basis, and it’s a full website backup too. Each backup contains the WordPress core, site databases, plugins, themes, site changes, and more. You can do a full site restore from every single backup. Beyond the automated backups, you also have the option to conduct a manual backup as well. All of the backups are stored on your WP Engine dashboard, but you can also download your backups for additional storage and safety as well. Website security is something you should take very seriously, especially if you’re running WordPress. Since WordPress is by and far the most popular CMS this makes it a very likely target for hackers. Sadly, maintaining website security isn’t something that’s even thought about until it’s too late. Recovering from a hack can be both a time consuming and costly process. There are steps you can take to secure your own WordPress site, but still, the security of your site will rest squarely on your shoulders. This means that you’ll not only need to install, activate, and set up the proper plugins. But, you’ll need to always ensure these plugins are up to date. Forgetting a single link in the chain can cause your entire security wall to come crashing down. WP Engine will take care of all of this for you. They have automated daily security scans to ensure you don’t have any active security risks. Plus, there are automated backups for disaster recovery. They have custom security procedures in place on the server level as well. Finally, they have regular third-party security audits to ensure their practices, servers, and codebase are up to the latest security standards. With WP Engine you’ll have your standard hosting, plus additional access to multiple WordPress staging areas. These staging environments can be used to fully create and test your WordPress website before you push it live to the internet. Or, if you’re a developer these can be used to build your client sites and make any changes before you transfer the site to their possession. Pushing your site live, or transferring it to a client is very straightforward as well and all takes place within the hosting dashboard. Migrating your WordPress site over to WP Engine is a very easy process. Not only will you be able to migrate your entire site, but you’ll be able to do it entirely for free. To prepare your site for the migration you’ll need to have an active WP Engine hosting account, and you’ll need to create a new site from within your hosting dashboard. Then, you’ll install the free migration plugin on your existing site and do all of the necessary site preparation. The plugin will do all of the technical heavy lifting for you, downloading and migrating all of your site content, databases, and settings. Keep in mind that it might take a little time for the transfer to finalize. The only thing left for you to do is update your existing DNS records to reflect your new hosting environment. Most hosts will charge for the process above, or only migrate a portion of your site for free. With the WP Engine migration plugin you can easily migrate your site for free in the most efficient way possible. If you’re switching to HostGator from another hosting provider, then this process couldn’t be simpler. All you need to do is sign up for hosting, and their team will take care of all the technical steps. This is perfect for beginners who don’t want to get their hands dirty with a complex site migration. Also, if this is your first time using the service, then you can take advantage of the number of one-click installs they offer. Installing a CMS on your site takes nothing more than clicking a few buttons and entering the name of your site. These tools and services make it very easy to get your site off the ground, even if you don’t have any technical skills. StudioPress, the team behind Genesis, has created some of the finest WordPress themes available on the market today. In 2018 they were acquired by WP Engine. When you sign up for a WP Engine hosting package you’ll get access to the entire library of StudioPress themes free of charge. This will typically cost you at least $129. If you plan on hosting multiple sites with WP Engine, or are a developer who wants to use the Genesis framework to build out client sites, then this is an incredible deal. The theme’s span a wide range of niches, from standard blogging themes, to eCommerce, news sites, health sites, and a lot more. Whatever kind of site you’re building you’ll be able to find a theme to match. Since you have access to the Genesis parent theme you can also build your own child theme from scratch. It can be hard to find the perfect WordPress theme for your needs. With access to the StudioPress theme library, you’ll not only simplify your search, but you’ll ensure that you’ll always be using a high quality and high-performance theme. Now, you can use other themes with WP Engine hosting if you wish. But, having a selection of quality themes right out of the gate is an incredible bonus. WP Engine offers one of the most generous guarantees in the hosting game. While most hosts simply offer a maximum 30-day guarantee, WP Engine pushes this even further by extending the guarantee out to 60 days. This means you have a full two months to test out the service to see if it’s right for you. Canceling your account and getting a full refund is a very straightforward process. All you have to do is download your website backups, and enter your reason for canceling your account. You’re now free to move your site to another hosting service. If you cancel your account within the 60-day window of first opening your account, then you’ll be eligible for a full refund. WP Engine can offer your WordPress site a lot of benefits. Still, it’s not the perfect host and isn’t right for every kind of website owner. Hopefully, this first drawback is obvious. WP Engine only offers managed WordPress hosting services. If you want any other type of hosting, then you’re going to have to look elsewhere. A lot of other hosts will offer a myriad of other services like, domain name registration, email management, along with will multiple forms of hosting. With WP Engine you won’t be able to run any kind of site that isn’t a WordPress site. This does create a very high-quality WordPress hosting service, but site owners not on WordPress will have to find a different provider to host their websites. WP Engine has a very unique hosting setup which helps to achieve the very high levels of performance and security. But, in order to make this possible, there are a lot of site restrictions in place. For example, there are limits on a number of plugins you can use, along with certain admin tasks that you won’t be able to complete. This is done for a reason, in order to help your site achieve high levels of security and blazing fast speeds. But, some site owners might find this frustrating if they’re attached to using a certain plugin. Now, there are alternative tools offered by WP Engine that you can use to accomplish the same tasks. But, some users might find this workaround interferes with their workflows. Still, you have to think about the reason you’re making these sacrifices. By not using certain plugins and giving up certain admin actions you’re getting a host that completely takes the headache out of hosting. Each of the WP Engine plans are limited by the amount of traffic your site can receive. There’s a maximum amount of traffic your site will be able to receive every month before you’re hit with overage charges. Sites that get variable traffic levels, or run big promotions that result in a lot of traffic will find themselves paying higher monthly hosting fees. The way they count website visitors is very straightforward, but expect to pay a lot if you ever have a post of yours go viral. The overage cost is $2 per 1,000 additional monthly visitors. With some hosts, you’ll be able to get a lot more support for higher traffic levels while paying a lot less. Think something like VPS or cloud hosting, which can much more easily support growing or variable levels of traffic. This might not be a huge disadvantage. But, with WP Engine you won’t be able to send emails through their server or run any automated email marketing campaigns. Most general hosting companies will provide you with an email inbox you can access through cPanel, or even automated email marketing software you can utilize. However, you won’t find this feature available at WP Engine. If you want to manage emails you collect through your website, then you’ll need to use a third-party email marketing provider. This is generally the most useful approach to take anyways, but it’s still something worth being aware of. One thing is for certain, WP Engine isn’t a budget-oriented host. If you are building a website for the first time, then this probably won’t be the best form of hosting for your needs. You should probably only consider WP Engine if you have an established website that’s getting a decent volume of traffic. Since it’s a managed host this will help to free up your time, so you can grow your site even further. If you have a smaller budget, or this is your first time hosting a website, then you might want to go with a budget-friendly WordPress host. WP Engine offers three different WordPress web hosting packages for you to choose from. The biggest differentiating factor between each plan is the number of monthly website visitors the plan can support and the total number of websites you can host. If you do want to add more WordPress site’s to your plan, then you can do so for an added fee of $20 per site. However, keep in mind that every site you’re hosting will need to adhere to the plan storage and traffic limits. The Startup plan is the cheapest level of hosting and even that is a bit pricey, but as they say “you get what you pay for”. If you have a smaller WordPress site or blog, then this plan will be perfect. It can support up to 25,000 visitors per month. If your site is growing rapidly, then you might want to upgrade to a higher plan, as overage charges can add up quickly. Overall, the startup plan offers you more than enough storage and support for growing your site. it is packed with useful features and tools to ensure your site is always performing at the highest level possible. This plan will cost you $35 per month. However, you can save $70 off the yearly price of Hosting if you pay for one year of service upfront. The middle tiered plan is the growth plan. It is nearly three times the cost of the startup plan, however, with the added fee you’re getting a lot more server resources at your disposal. This plan can support websites that are growing quickly and will support your website up to 100,000 visitors per month. This plan is equipped with everything in the Startup plan. Plus, it also gives you the ability to import your own SSL certificate, and you have access to 24/7 phone support. The Growth plan will cost you $115 per month. But, you can save $230 per year if you pay for an entire year of hosting up front. The highest level hosting plan is the Scale plan. The biggest advantage that this plan offers you is support for up to 400,000 monthly website visitors. This should be enough for most website owners. This plan is perfect for large high-traffic websites, or also developers, or those who run a network of various WordPress sites. You’ll also get access to all of the features in the previous posting plan. With this plan, you have the option to enable additional features like WordPress multisite, GeoTarget, additional content performance features, Global Edge security, and you can add additional sites to your plan for a monthly fee. The Scale plan will cost $290 per month. However, you can save $580 by paying for the entire year up front. If the Scale plan doesn’t provide your site with enough storage, bandwidth, number of supported sites, or can’t support the volume of monthly traffic you receive then you might qualify for a custom enterprise plan. The Custom hosting plan is built for very large and high-traffic websites. Or, WordPress sites that have very specific hosting needs and require a very high level of service. These servers will offer unparalleled performance, a managed onboarding experience, and the fastest support response possible. A Custom hosting plan can support millions of monthly website visitors, offer you up to 1TB of storage, have a monthly bandwidth of 400GB and beyond, plus support for hosting 25 different WordPress websites. This is ideal for enterprise level hosting requirements. The pricing for this level of hosting is dependant on your overall configuration and the features that you require. If you require this level of hosting plan then call 1-512-273-3906 to talk to a sales specialist today. Is WPengine Just Too Expensive For You? For most people looking for managed WordPress hosting, WPengine’s price points are a stumbling block, even though their WordPress hosting service is worth every penny. So what are the alternatives to WPengine? #3 FlyWheel – Expensive, but you get what you pay for. #4 Bluehost – Affordable alternative to services mentioned above. #5 Siteground – Good alternative to WPengine. By now you should have a better understanding of some of the biggest advantages that WP Engine can offer your site, as well as a few things to look out for. Below we dig deeper into the overall feature set, so you can determine if this host has everything you need to help your site succeed. WP Engine is a very intuitive hosting platform. Plus, since it’s a managed host there aren’t a lot of hosting-related tasks that you’ll actually need to accomplish. Once you’ve signed up for a hosting account you can install WordPress in a number of clicks, or copy a WordPress site from an existing installation (if you’re a developer). Then, if you’d like you can select from one of many high-quality StudioPress themes to build out your site. When you install WordPress you’ll also have a suite of useful plugins pre-installed on your site. Then, all that’s left to do is start building. Beyond the tasks that you’ll complete within your site’s WordPress dashboard, you’ll also have access to an account portal on the WP Engine site. Here you’ll be able to do things like enable the included CDN (content delivery network), activate your SSL certificate, create manual backups, and more. If you’re upgrading to WP Engine from a shared host, then you’re probably used to cPanel. You won’t find that here. Instead, you’ll have access to their custom user panel which lets you quickly accomplish site management tasks. It might be a greatly stripped down version of what you’re used to, but since it’s a managed host there are way fewer tasks that’ll require your attention. Everytime you install WordPress on a site, you’ll have access to a staging environment or staging area as some call it. Think of this as a behind-the-scenes realm where you can make changes before pushing them out live to the internet. Here you’ll be able to test plugins, make code changes, experiment with new themes, and more. Think of it as your playground, where you can experiment with your site without having it reflected online. If you’re a developer then this gives you the freedom to build, test, and showcase client sites without having to create a separate hosting environment. Not only does this help to improve your workflow, but you can easily transfer over client sites if they also have a WP Engine hosting account. WP Engine offers an automated site migration tool that makes transferring your existing WordPress site a breeze. All you have to do is install their WordPress migration plugin on your existing site, and follow the migration checklist. There’s also a wealth of support materials that’ll help guide you through the entire process. If you do require additional help during migration, then you can reach out to their helpful and responsive support staff who can guide you through any issues you might currently be experiencing. WP Engine takes security very seriously. They have a number of security practices in place to help protect your site from any risks lurking online. First, you’ll find custom firewalls that’ll help to keep out outside threats. There’s also daily malware and virus scans, so any new threats can be detected and eliminated. Plus, if your site does become infected while it’s being hosted with WP Engine their team of experts will work to eliminate the threat and restore your site to its original condition, entirely for free. The included monitoring service will also keep you up to date on any security risks that could potentially affect your site, whether it’s a datacenter issue, maintenance upgrade, or a necessary security update for a theme or plugin. The site staging area also gives you the freedom to test out new site features, customizations, and plugins, so you can catch any bugs before you push them out to your main website. WP Engine includes high quality, automated backups on every hosting plan. A lot of hosting companies that offer bundled backups tend to skimp on the quality, depth, or frequency of the backups. But, not WP Engine. You’ll get automated daily backups that encompass your entire WordPress site. You’ll be able to do a full website restore from any of these backups, if the need arises. You can also create manual backups, if you want to backup your site before a plugin upgrade, theme change, or some other large-scale site change. All of your backups will be accessible within your WP Engine admin panel, or you can individually download each backup to create even more system restore points. WP Engine provides a wealth of different 24/7 customer support team options, including, live chat, email, and phone support. Their live chat support team is incredibly responsive and helpful and most of the support staff are experienced WordPress experts. By having WordPress experience their team will be able to help you with things like plugin and theme conflicts, loading and performance issues, and other WordPress-specific problems. Their response times are very quick and are more than happy to help. If you do require more advanced technical support, then you can quickly reach a member of the engineering team who can field your questions. In the past, some users reported experiencing issues with the quality of support. However, this was a temporary issue due to the company growing so quickly. The issue has since been remedied and users can expect the quality of support they’re used to. Note that 24/7 phone support isn’t available on the entry-level Starter plan. You’ll also find a ton of online resources, blog posts, tutorials, and an extensive knowledgebase which can help to guide you through any issues you’re currently experiencing. GeoTarget is a useful feature if you want to serve your visitors location-specific content. This tool will determine the location of your site visitors based upon where in the world they’re physically located and then serve up a version of your site dependant on that location. GeoTarget is a plugin that gives you access to a series of shortcodes you can use to define the types of location-specific content you’d like to display. This can be very beneficial to help provide your website visitors with a highly custom and relevant site experience. Which, will go a long way towards improving conversions and giving your visitors an incredible user experience. Now, this feature is a paid add-on. But, it’s one of the only options for seamlessly delivering location and multilingual content to your site visitors. There are other plugins that can accomplish the same task, but this plugin works in accordance with their caching technology to ensure there aren’t any performance or deliverability issues. If you’re a developer then you can take advantage of the transferrable site feature. This allows you to create WordPress sites that you can easily transfer over to clients once they’re complete. When you create a transferable site you’ll have the option to build a development, staging, or production site. This route you choose depends upon the level of access you want to give your clients. Transferrable sites have the benefit of being completely secure and password protected. There’s no way to make the site public until the site has actually been transferred over to the client. As a developer, this feature can be incredibly advantageous as you’ll have multiple setup configurations to choose from. For example, you can use a WordPress installation that you’ve already customized with plugins, theme changes, and settings tweaks, so you don’t have to repeat the task. Or, if the site is completely unique you can use a completely fresh WordPress installation to give yourself a clean slate. You can show your client site progress via the demo link. Once the design is complete you can then transfer the site over the client. For them to push the site live they’ll also need a WP Engine hosting account. But, the process is seamless and can be done entirely within your hosting dashboard, no complex steps necessary. Hopefully, the information above has answered your most pressing questions about WP Engine. Still, there might be a few elements of their service you still have questions about. Does WP Engine offer any kind of guarantee? Yes. They offer a 60-day money-back guarantee for all of their hosting packages. This gives you a full two months to test out the service to see if it’s right for you and your website goals. Can you manage more than one WordPress site? Yes. On every plan except the Startup plan you’ll have access to the WordPress multisite function. This allows you to manage multiple different WordPress websites from a single dashboard. If you’re managing a roster of websites for yourself, or a handful of client sites, then this can greatly streamline your workflow. How does WP Engine handle site migrations? If you’re looking to migrate your existing site over to WP Engine, then you’ll be using the migration plugin. All you have to do is install this plugin on your existing site, follow the steps to properly prepare your site for transfer, and the plugin will do the rest. How does managed hosting differ from other forms of hosting? When you’re on any other form of hosting that isn’t managed it’s up to you to properly maintain, configure, and optimize your site and server environment. Essentially, you not only have to grow your website, but you have to take care of all the IT tasks as well. With a WordPress managed host you don’t have to worry about WordPress upgrades, site backups, maintaining security, optimizing your site and server, and more. All of it is taken care of for you. It’s like having a team of WordPress experts manage your site for you. 100% YES! I host this website on a dedicated WPengine server. WP Engine is a high-performing, stable, and scalable WordPress hosting provider. If you run a WordPress site that gets decent traffic you won’t go wrong choosing WP Engine. As a managed hosting provider they exist to make your life easier, and WP Engine excels at that. For starters they offer a very high-performing hosting environment, this means that your site will always load at lightning fast speeds and you’ll experience incredible uptime. Beyond site performance, there are also additional features like automatic backups, WordPress core and plugin updates, plus regular security scans. With all of these taken care of all that’s left for you, is to focus on running and growing your website. If you’re a WordPress developer, then hosting with WP Engine will give you access to some very useful tools like the included WordPress staging area. This staging area allows you to fully build out and showcase client sites before you push them live to the web. Plus, the bundled client site transfer features make it very easy and efficient to transfer completed sites over to your clients. By now you’ve hopefully come to the conclusion that WP Engine is not a discount hosting service. You will pay a premium for hosting your site with them, but for that price you’ll get access to premium hosting features. If you demand features like best-in-class performance, expert customer support, and blazing fast loading speeds, all in a managed WordPress hosting environment, then WP Engine might just be the perfect host for your needs. Even with the higher monthly fees, instead of it being a sunk cost, you’re truly investing in your business. You’re getting your time, and getting a high-performing, fast, and secure WordPress site in exchange. If you have a high-traffic WordPress site, then WP Engine should be one of the top hosts on your list. 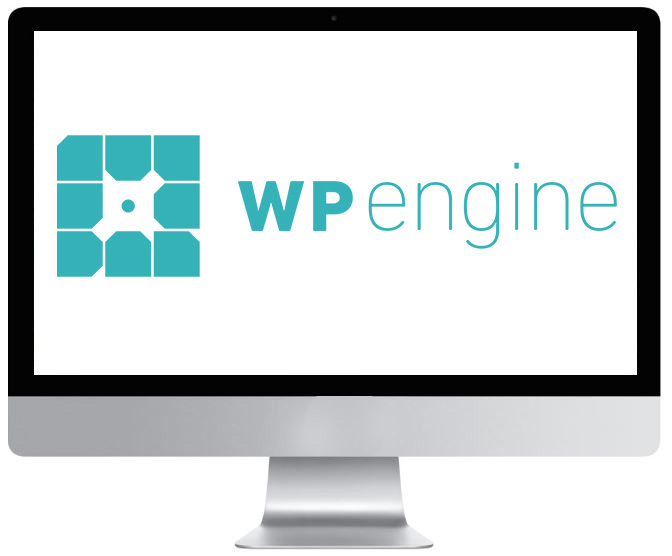 Are you currently using WPengine to host your WordPress website? What features are your favorite, and what drawbacks have you come across? Please share your experiences in the comments below! Want to leave your own review about WPengine? If it provides value to our visitors then we will publish and send you $30. Note that not all reviews will be published. To be in with a good chance of your review getting published then you will need to write valid, unique, resourceful and helpful reviews – this can be either positive or negative. All the best with your review!! !